In 1984, our founders made the decision to establish a firm focusing exclusively on quality over quantity. Since day one, we at Stewart Tilghman Fox Bianchi & Cain, P.A. have stuck to a limited caseload so that our clients benefit from exponentially increased amounts of time, resources, and energy invested into their cases. 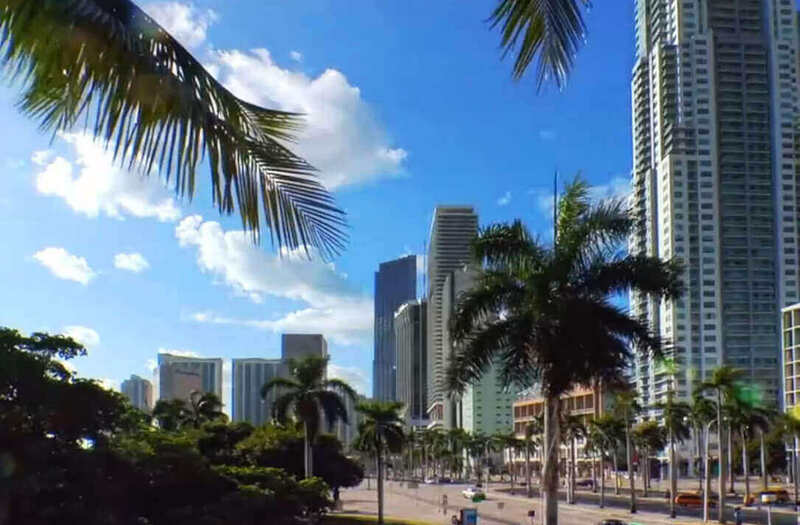 Based in downtown, our injury lawyers have represented clients from Florida and all over the nation. We have even represented clients from Australia, France, England, Peru, Monserrat, the Virgin Islands, Indonesia, and the Bahamas. We have a reputation for getting results. Our Florida personal injury law firm has successfully gone toe-to-toe against the largest companies in the country and has been able to recover maximum financial compensation for our clients. As a result of our success, diligence, and experience, our trial attorneys have been recognized and awarded by numerous organizations throughout the nation. We handle cases under every area of personal injury law, whether it’s medical malpractice, a catastrophic truck crash, the wrongful death of a loved one, or a tragic birth injury, we are known for our dedication and skill. Throughout our decades of legal practice, our passion has remained the same: to devote our time, energy, and resources to fighting for just compensation on behalf of the injured. 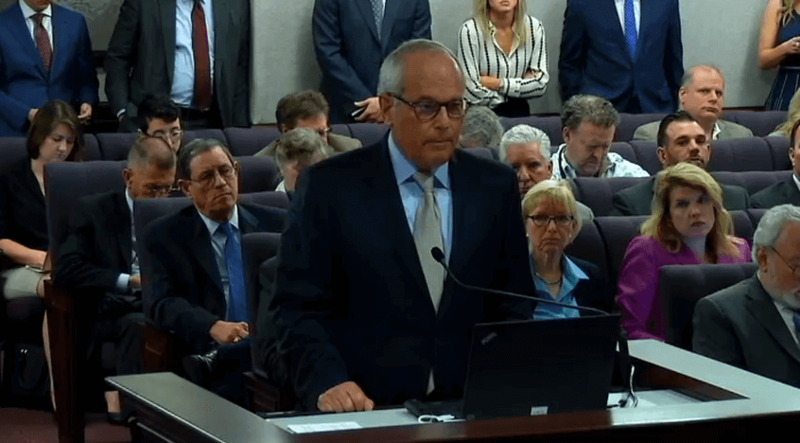 David Bianchi, a pioneer in anti-hazing cases, speaks before the Florida Senate Criminal Justice committee to propose new amendments to the Chad Meredith Act that would hold fraternity recruiters and leaders accountable for their role in hazing events. 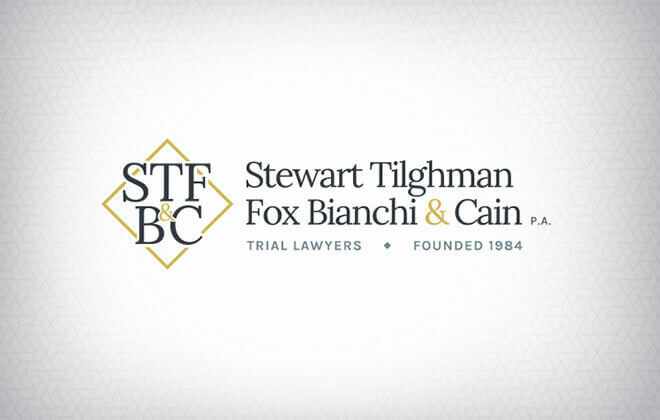 Stewart Tilghman Fox Bianchi & Cain, P.A. won a record verdict for a 77-year-old stroke victim who lost the use of the left side of her body due to doctor negligence . Despite being at a higher risk for blood clots and strokes, her cardiologist and electrophysiologist (heart rhythm specialist) took her off Coumadin, a medication designed for preventing blood clots and strokes. The defendants argued the patient didn’t deserve a large verdict due to her age and lower life expectancy. 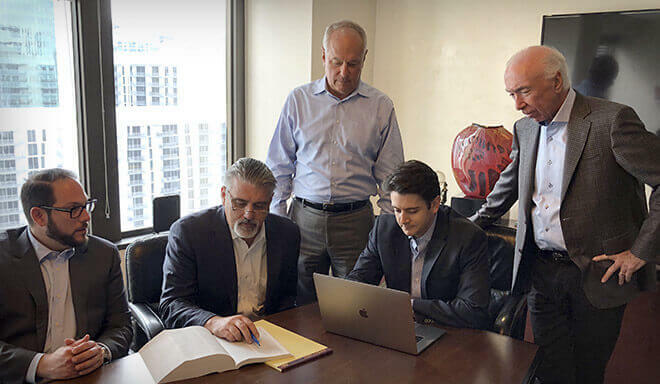 The jury saw through their cynical arguments and awarded our client nearly $8 million—the most damages awarded to a malpractice victim over the age of 70 in Florida history. Personal Injury: Since 1984, our firm has helped injured people get compensation for their losses through verdicts and settlements. By winning hundreds of millions of dollars, we've helped people replace their paychecks, afford housing, and pay for their medical care while recovering from grievous injuries. When insurance companies, reckless drivers, or negligent doctors cause people harm, they call our firm. Hazing: Our firm has a long history of standing up for the victims of hazing. This started in 2001 when Attorney David Bianchi represented the parents of Chad Meredith, an 18-year-old student who was killed by hazing. Attorney Bianchi later helped write the Chad Meredith Act, which made hazing a criminal offense in the state of Florida. Medical Malpractice: Since 1984, our firm has successfully tried cases and won settlements for birth injuries, surgical mistakes, failures to diagnose, and obstetrical malpractice. We've spent decades uncovering the negligence of doctors, nurses, and hospital administrators. Whatever kind of harm your doctor or hospital may have caused, our firm is well-equipped to investigate your case. Defective Products: Manufacturers have a duty to design, make, and sell products that are safe to use. Our product liability lawyers have held companies accountable for defective products since 1984, ensuring that our clients get justice and compensation for their suffering. Our firm has tried and won cases against the largest companies in the world, including Ford, Toyota, Carnival Cruise Lines, and more. Auto Accidents: Our lawyers have helped countless people hold at-fault drivers accountable for reckless driving, drunk driving, pedestrian accidents, hit-and-runs, truck collisions, and many more. We've won hundreds of millions of dollars in verdicts and settlements, many of which were car crash cases. If you're looking for someone to help you get compensation for your treatment, pain, and losses, you've come to the right firm. Truck Accidents:Big rig accidents hurt people in two ways: with the initial impact and with the painfully slow recovery process. When you're facing a large trucking company and its insurer, you need an attorney who has faced these companies before and beaten them in court. Our firm has the experience and resources to win truck accident cases, winning hundreds of millions for our clients since 1984. Sexual Assault: For decades, our personal injury law firm has advocated for the victims of sexual assault. Even when the criminal court doesn't get justice for your pain, a civil trial can force perpetrators and enablers to be held accountable for what they've done. Our firm has won verdicts and settlements for clients who were sexually assaulted in hotels, on cruise lines, at school, and other places. More importantly, we've helped our clients get closure and the resources they need to move forward. Wrongful Death: When a person or a company causes a person's death, they need to be made publicly accountable. The loss of a loved one does real, concrete damage to our lives; that needs to be held accountable too. No verdict or settlement can bring a loved one back, but they can make sure companies never repeat their mistakes while helping grieving families move forward with closure. The Best Lawyers in America® is a list of top attorneys in each practice area and region. Honorees are chosen by their peers based on skill, integrity, and legal prowess. The Inner Circle of Advocates is an organization made of the top 100 plaintiff’s attorneys in the United States. Membership is by invitation only and determined by the size of an attorney’s recent results. U.S. News and Best Lawyers select the best law firms in each state based its skill, reputation, legal understanding, and more. Both clients and leaders in the field are consulted during the research process. A respected guide of the top 500 trial attorneys in the nation. Our firm is proud to house two members of the “Hall of Fame,” where they are 2 of 52 lawyers in "The Litigators" category. An AV® Peer Review Rating is awarded based on a lawyer’s integrity, skill, and history of results. The ratings are determined by Martindale-Hubbell, the oldest legal rating service in the nation. Board certification from the Florida Bar testifies to a lawyer’s expertise and experience in their area of practice. It is only awarded after a thorough vetting process and written exam. Super Lawyers® is a list of the top 5% of attorneys in a state. Lawyers are selected based on a rigorous, multi-phase research process. The National Board of Trial Advocacy exists raise the standard of trial litigation nationwide by recognizing attorneys who are truly experts in their field. Certification is based on both experience and competence. The ABOTA is a national association comprised of skilled attorneys and judges who have been recognized as dedicated to the right to a civil jury trial, or "Justice by the People." This is a prestigious roster of some of the top attorneys in the state who have been recognized by their fellow legal professionals for their skill. A group of elite trial attorneys who represent defendants and / or plaintiffs. Inclusion is gained by invitation only and is a recognition of a legal professional's respected skill. This society was founded to recognize and bring together the top advocates in the country in order to improve the legal system and protect the rights of citizens. With more than a century of collective legal experience, our legal team consists of passionate, dedicated legal advocates. Our attorneys are committed to helping our clients overcome catastrophic circumstances and have done so since our firm’s founding. The secret to success lies in our emphasis on quality of representation over quantity of cases. Even with limited caseloads, our attorneys have handled hundreds of cases over the years and yielded astounding results due to our focus and preparation.